When they first announced this, I thought, oh no, not another Jackass film. But when I saw the trailer I was actually intrigued. 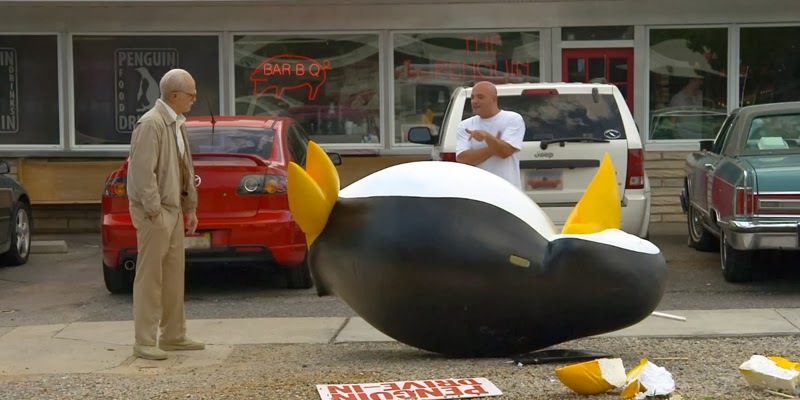 I actually like the fact that there's a story put together around the pranks that they pull similar to Sacha Baron Cohen's Borat or Bruno. 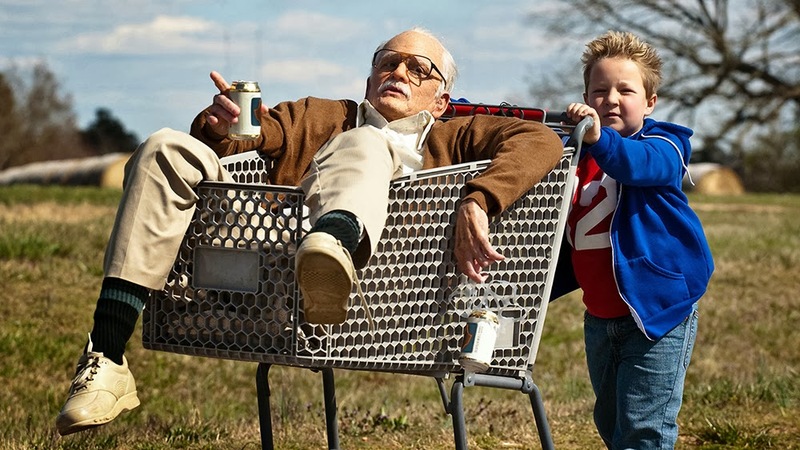 I finally had the chance to see Jackass Presents Bad Grandpa last night, and enjoyed it with my low expectations going in. The film was actually a lot more subdue than I thought it would be. 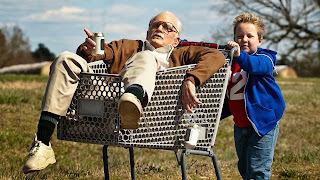 The movie did move like Grandpa Irving played brilliantly by Johnny Knoxville, which is to say a slow plod. But it's more than offset by Johnny who looks amazing with his make up on as Irving. As well his ability to imitate a lot of the mannerism and movements of an old man is for the most part spot on. The jokes as you can imagine are mostly of the crude kind, but there are others that are just playful with unsuspecting victims. The grandson Billy played by Jackson Nicoll does a great job as well and have some of the best scenes. I especially love the scene where he's talking to the adult apparel shop worker. With regards to the story, there's not much depth to it of course. Billy's mom is heading to jail, and asks Grandpa to take Billy on a road trip to his father in another state. 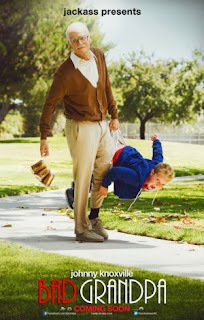 The deadbeat father is only willing to take on his son when he learns that he can get child support of $600 a month. Most of the film of course is the pranks on the unsuspecting people along the way in their journey to meet up with the father. Overall, I enjoyed the film. If you're looking for an escape this weekend from the violent movies and just need a few chuckles, then this is for you. As long as you go in with low expectations, I think you'll find it enjoyable. Again it is low brow humor for the most part, so it may not be for everyone. I would especially not recommend it for kids. Make sure to stay for the credits which include a behind the scenes look at the film which is interesting. Are you a fan of this type of genre? If yes, what's your favorite film of this genre?